The eighth-generation Maxima will debut in April at the New York auto show. 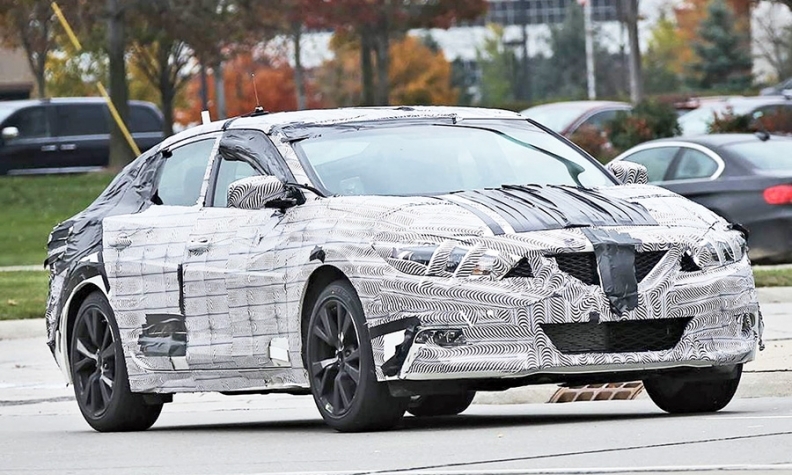 Spy photos of the redesigned 2016 Maxima sedan suggest Nissan is going with the kind of fastback styling that mimics the four-door coupe body styles of several German cars. If the spy photos are close to the production model, the new Maxima's styling will be toned down from the Sport Sedan Concept car shown in January at the Detroit auto show. Fastback styling is emerging as a dominant design theme in the large-car segment, as shown by the Toyota Avalon and Chevrolet Impala.